Currently in the USA, the overall Zika Virus incidence rate is much lower than it was last year. 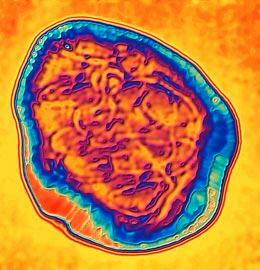 In New York for example, the current infection level is approximately 55% lower than last year at this time. In Central and South America, many countries are seeing a decline in Zika infections, however there are no countries where Zika Virus is disappearing. Interestingly, Argentina and Peru are seeing Zika levels increasing lately. 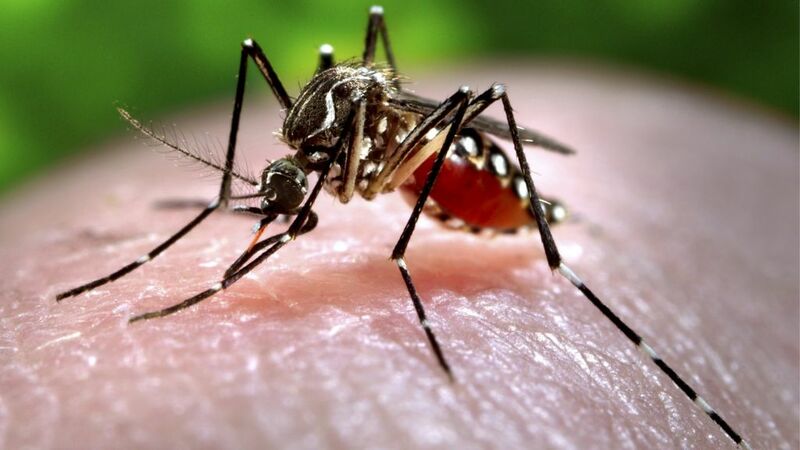 It is likely that the broad declines in Zika infections within the Americas are due to an increase in the natural immunity to the virus throughout the population. 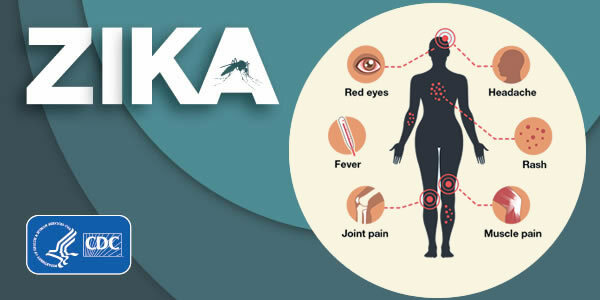 Once someone has been infected with Zika once, they cannot be infected again and cannot pass the virus onto other mosquitos. These mechanisms help decrease the spread and infectivity of Zika Virus. On the research front, scientists have created a mouse model to study Zika virus’ life cycle and transmission characteristics. Creating this research model is a great advancement as it will allow scientists to gain more knowledge on the virus and allow us to make advancements in the prevention of its spread and treatment. While Zika is currently less talked about than it was last year, it is still prevalent and should not be forgotten. I’ll post more updates as the news behind Zika Virus develops. Hi everyone! Today, I will be posting about a disease that affects someone close to me and that I feel needs much more awareness, both in the medical community and in the general public. Pseudoxanthoma Elasticum, commonly referred to as PXE, is a genetic connective tissue disease for which there is no cure. PXE is a very rare disease that is estimated to only affect 1 in every 25,000-100,000 individuals. women are twice as likely as men to be diagnosed, though the cause for this observation is unknown at this time. PXE is caused by a mutation in the gene that codes for the membrane transport protein ABCC6, leading to mineralization of elastic tissue in the skin, retina, and arteries. This disease is known as an autosomal recessive disease, meaning that it can be inherited, though it is unlikely that an affected individual’s children can develop the disease unless their spouse is also a carrier of the defective gene. Peau d’orange and/or angioid streaks on the retina, and abnormal calcification in the arteries. Regular cardiology examinations – your cardiologist can check to make sure your entire cardiovascular system is functioning properly, especially your heart, and can provide you with information to maintain proper cardiac health, including diet recommendations and exercise advise. Regular eye examinations – your optometrist or ophthalmologist can observe the overall health of your eye and detect some of the earliest signs of PXE. Since PXE can lead to an increased risk of retinal bleeding and a loss of central vision, your eye doctor can continuously monitor your eye health to prevent vision loss and the development of a retinal bleed. Regular examinations with your general practitioner and other specialists – your general practitioner will ensure you remain healthy overall and may refer you to other specialists as needed. Apart from cardiologists and eye doctors, another specialty consulted for PXE patients may include gastroenterology, as PXE can increase your risk of intestinal bleeding. Unfortunately, since PXE is so rare, very few physicians know what signs to watch for in their patients. While there is no cure, early detection can allow patients to follow up with different specialties to prevent vision loss, cardiovascular complications, gastrointestinal complications, and more. As organizations, such as PXE International, continue to bring awareness to this disease, more and more research will be conducted to allow us to have a better understanding of what underlying processes are occurring and how we can better treat patients. Hi all! Since May is Healthy Vision Month, I will be writing a few posts about common eye diseases, their symptoms, and what you can do to protect your eyes! Our vision is something that most of us take for granted, but losing it can drastically alter our life. In this first post, I will be speaking about Glaucoma, the leading cause of blindness in the United States. 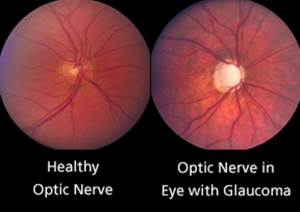 Optic nerve of a healthy eye and an eye with Glaucoma. Glaucoma is a disease that is usually caused by a gradual buildup of intraocular pressure, leading to irreversible damage to the optic nerve and blindness. The eye constantly produces more aqueous humor (fluid in the front of the eye, between the cornea and the lens). As new fluid is created, an equal amount of fluid should drain from the eye through what is known as the drainage angles. If the angle is not working properly, the aqueous fluid could build up, increasing intraocular pressure, pushing the lens back, and increasing the pressure of the vitreous humor on the retina and optic nerve. Without treatment, this can lead to irreversible blindness. Glaucoma generally has no clear warning signs, so it is extremely important to have regular eye exams to check the overall health of your eyes! Your eye care professional can check your intraocular pressure and examine the back of your eye to check for any signs of Glaucoma and initiate a treatment plan to preserve and save your vision. As with many aspects of medicine, early detection is key! This being said, there are some signs and symptoms that could indicate that you should see your eye care professional for a Glaucoma check. If you experience, patchy blind spots, tunnel vision, severe headaches, eye pain, blurred vision, or nausea, you should make an appointment to see your eye doctor as soon as possible. Whether the underlying cause is Glaucoma or not, it is important to be examined. The difference between someone with a healthy eye and a person who has Glaucoma. Who is most at risk to develop Glaucoma? Hi Everyone! Sorry about the delay in getting this post out – since June, I have started graduate school at Rutgers New Jersey Medical School in Newark NJ. Last semester was extremely busy, but now that I am in the swing of things, I will be focusing my efforts back on Disease Detective! Going forward, I will be making relevant posts on prevalent diseases. Enjoy! For my first post getting back into Disease Detective, I have decided to write about Heart Disease. February is American Heart Month, and with Valentine’s Day right around the corner, I figured this topic would be fitting. Below, I have some of the major facts and figures about Heart Disease. Heart Disease is currently the leading cause of death for adults in the United States, with over 600,000 individuals dying each year (as of 2014). One American dies every minute from a condition classified under heart disease. If you have any of these symptoms, you should immediately seek medical attention – Call 911! In many cases, heart disease can be treated non-invasively through the use of medications and lifestyle changes. Adopting a healthy diet, exercising regularly, and taking any prescription medications your doctor prescribes will help control your condition and improve your health. In some cases however, surgery may need to be performed to correct the condition before it becomes fatal. Making Disease Detective was a journey that took me weeks to work out the kinks. What started out as a simple interest really grew into a passion to share knowledge with others. If you’re reading this, you are most likely interested in blogging, but are unsure how to get started. I remember being in this situation a few months ago and I figured that this would be a great opportunity to share some advice on how to blog based on what I have found works for me. Below are six key tips to help get your blogs off the ground and build them up to the way you want them to be. Enjoy! Pick a topic you are passionate about. When I wanted to start my blog, I had an assortment of ideas running through my head about what I could write about. After talking with some friends, I had narrowed my topic down to two main choices. What finally sold me on Disease Detective was my passion to become a physician and to be a part of the medical community. During my undergraduate years at Drew University, I have taken a diverse set of biology courses to provide me with a solid, scientific foundation that allowed me to write about diseases in blog posts that everyone can easily understand. Whatever topic you end up choosing, make sure you have a passion for it, because it will make writing and maintaining the blog much easier. Spending the time now to think about what topic you will write about will save you confusion and aggravation later on. Determine who your audience will be early in your planning process. Once you establish who your audience is, you can easily write your posts. Deciding your audience takes some time, but can only be decided after you have picked your topic. Writing to a specific audience is important because it will help your blog reach the viewers you are looking for, and it will help you focus the tone of your writing. Getting this out of the way before creating your blog will make it easier to focus on sharing your information when it is time to write posts. Get started using WordPress. Yes, there are many web design platforms to choose from, but in my opinion, WordPress is one of the easiest platforms to get started on if you have little to no experience. Starting out with a free WordPress account, you can easily configure your blog and have it up and running in a matter of 15 minutes. While picking a theme can be challenging given the numerous options, start out with a simple (free!) theme to get going, and then work to make it your own. Overtime, if you see fit, you can upgrade to paid themes or higher-level WordPress accounts to gain more advanced features, but the free account is more than enough to get you started. Don’t be afraid to play around with the visual theme of your blog. Once your blog is running, has a few posts, and has some followers, it’s time to work on perfecting the visual appeal of your blog to make it your own. Adjusting the color palette of your theme, or changing the theme all together are some of the fastest ways to change your blogs aesthetics. The visual theme of your blog should complement the topic you are blogging about. For Disease Detective, I choose a simple color palette that tied in the colors in my logo. This theme makes it easy for my readers to comfortably read text, see images, and navigate the blog. Best of all, the theme I choose was free! Find a theme that makes you happy, highlights your hard work, and goes with the topic you are presenting! Blog on a regular basis! Whether you blog daily, weekly, or biweekly, once you start your blog you should aim to blog on a weekly basis. Admittedly, I have not been 100% perfect on this myself, but if you can blog on a regular basis, you can keep your followers actively engaged with your content. Keeping the web traffic flowing to your blog may not be your priority when you are fresh and starting up, but eventually, you will want to build up your followers so that your hard work can be recognized. Blogging regularly shows that you are more serious about your topic and it gives your followers something to look forward to at a predictable time. Use social media to help spread your blog when you are ready to attract more followers and traffic. Once you have posted a few posts and have configured your blog the way you want, it is time to start generating some traffic. Expanding your reach is a nice way to showcase your hard work and share your thoughts with others. Social media is one of the easiest ways to do this as you can quickly reach a large amount of people in a short time. Start by making a Twitter account for your blog and linking it to your blog site – doing so will drive traffic between the two places and expand your reach. If you have personal social media accounts, publicize yourself and share the URL for your blog – The more you spread your blog, the more followers you will get. I hope these tips were helpful! If anyone has any questions or suggestions, feel free to comment below and let me know! As I graduate Drew University, I plan to keep Disease Detective running, so enjoy the posts!